D-ALiX, formerly the Western Africa-Canary Islands Network Access Point, is a strategic hub in the south of Tenerife that provides international connectivity via submarine cables - both existing and planned - to Africa and the rest of the world. The new packet-optical network connects 38 council sites on Tenerife in a multiple ring configuration for protection and resiliency. Council departments at each site can connect to a high-speed local area network and run managed, differentiated services over a 40-wavelength flexible optical network controlled by Transmode's Enlighten multi-layer management suite. In addition to the TM-Series placket optical platform and TG-Series passive optical access platform, Tenerife Island Council deployed Transmode's family of EMXP packet-optical transport switches, which provide Carrier Ethernet 2.0 services over an Ethernet layer with carrier-class resilience and performance. Transmode says the optical layer of the network is significant because the unusual band-pass architecture allows the network to be deployed without remote amplification outside the central offices. This greatly simplifies network installation procedures and reduces cost through the use of simple common configurations in all remote customer premises nodes. For the Tenerife deployment, Transmode also partnered with Apfutura, a Barcelona-based supplier of outside plant management software. By integrating Apfutura's APEX software into its Enlighten management suite, Transmode extended its usual packet-optical management capabilities with detailed network mapping capabilities. 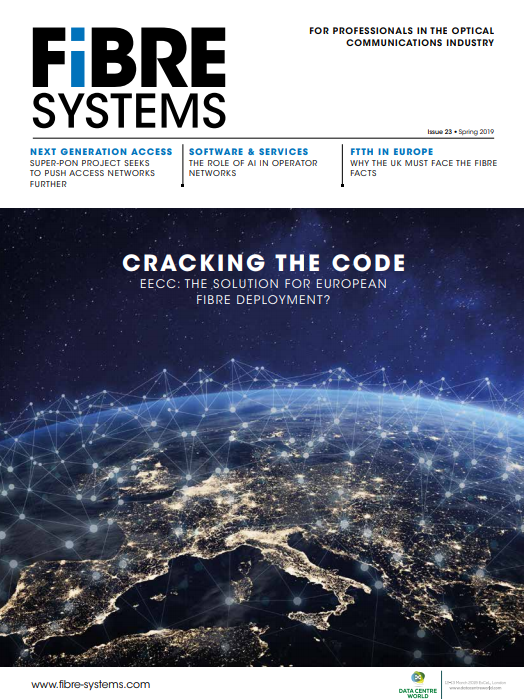 The integrated software enables network operators to understand the exact routing of fibre and the location of all network elements such as fibres and ducts, remote passive WDM filters and splice chambers. The ability to visualise the physical layer in relation to service delivery is increasingly important higher-layer functionality is added to packet-optical systems and as WDM-based optical networks push deeper into local access networks, making networks more complex to manage. Sten Nordell, Transmode's chief technology officer, said: "Network management has been a development focus area of Transmode's as the sophistication of the networks we deploy has rapidly increased with Ethernet and MPLS-TP functionality and the completion of our first steps of transition to the SDN environment. Integrating tools such as APEX into the Enlighten Suite helps our customers deploy these solutions in real world environments and address the practical challenges associated with network deployment and ongoing maintenance."